Car spotters have recently espied this odd SUV during a test drive. 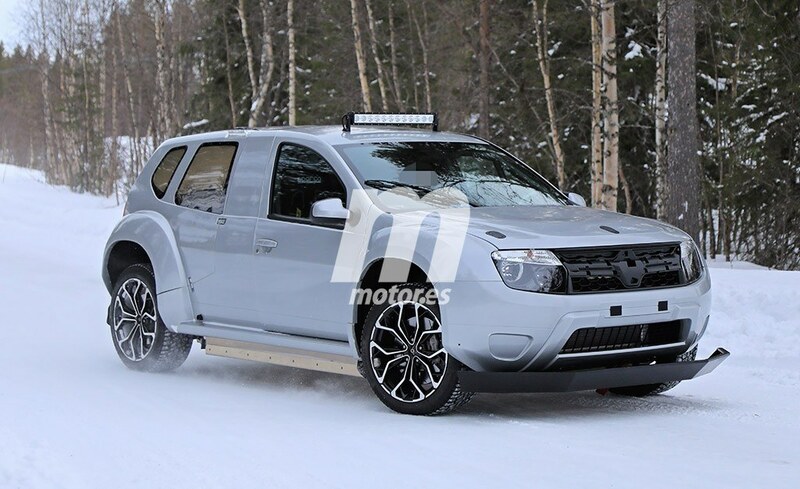 From the first glance, you may think it is a first-generation Renault Duster, but a closer look raises more questions. The proportions are off, the B-pillar looks way too wide, the fender flares are disproportionately huge, the wheels are set wide apart, the rear doors are missing and so are the exhaust tips… We here at FormaCar are frankly baffled, but our overseas colleagues suggest that it could be an Alpine AS2 test mule equipped with a purely electric powertrain. Maybe so! We knew long ago that Alpine was working on a new crossover utility vehicle, but we assumed back then that it was going to pack a traditional internal combustion engine. Judging from the car’s blatantly jury-rigged bodywork, shoddy side sills and moldings, and what looks like a traction battery protruding from under its bottom, this could very well be an early prototype of Alpine’s new all-electric SUV. Furthermore, the photos seem to suggest that the car is actually quite powerful: look at the Brembo brake calipers in front or the Alpine calipers in the rear. As for the production car, chances are we will be seeing it in a couple of years. Whether there will be a gas-powered version or not remains anyone’s guess, though.